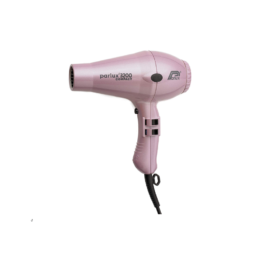 Hair dryer manufacturers devote a considerable amount of their time and resources to the safety features of their product. 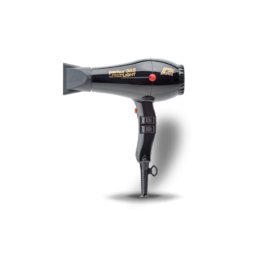 They design their hair dryers to be safe in the largest variety of conditions, and this is why a lot of hair dryers come with features such as front grills, protective screens, insulation, a thermal fuse, bimetallic strip, and safety cut-off switch. However, you still need to be mindful of how you use your hair dryer and you need to make an effort to maintain it properly. You may be wondering how long you can keep your hair dryer on without damaging the product or your hair. This all comes down to the type of hair dryer you have. 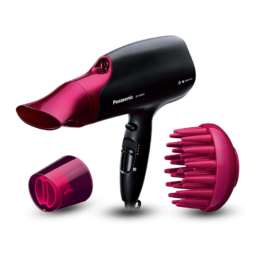 If you have a quality commercial hair dryer, it should not take very long to dry your hair. Not only this, but the best models today come with a system whereby the supply is automatically cut off if the coil gets overheated. You also need to clean your hair dryer and look after it properly. You can take all of the attachments off and clean these separately. 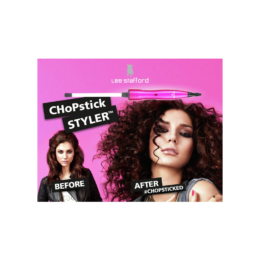 In terms of the filter, this will typically be on the back. Read your manual to find out how to remove the filter and give it a good clean. Letting your hair dryer cool on a surface that is resistant to heat once you have finished using it. Never leave your hair dryer unattended when it is turned on. Switch your hair dryer off when you are not using it. Don’t block the air openings of your hair dryer. Keep the cord and power plug away from heated surfaces. Make sure the cord and plug do not get wet. Do not submerge your hair dryer in water or rinse it. Always unplug your hair dryer from the mains when you are not using it. Check the hair dryer on a frequent basis to see if there are any signs of damage. If you do notice any damage, replace the hair dryer. Do not use your hair dryer when you are near a sink filled with water or while in the bath. This should give you a good indication of when you should replace your hair dryer. 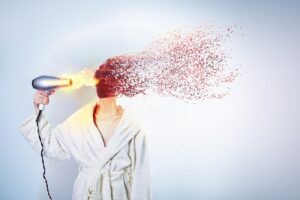 In most cases, a hair dryer will last around five years.